Gilbane’s site-specific Project Safety Plan, as well as a weekly project and safety meetings at the project site, ensure the protection of students, visitors and workers on an active campus. The Town of Enfield selected Gilbane as their construction manager-at-risk for the consolidation of the Town’s two public high schools into one school. 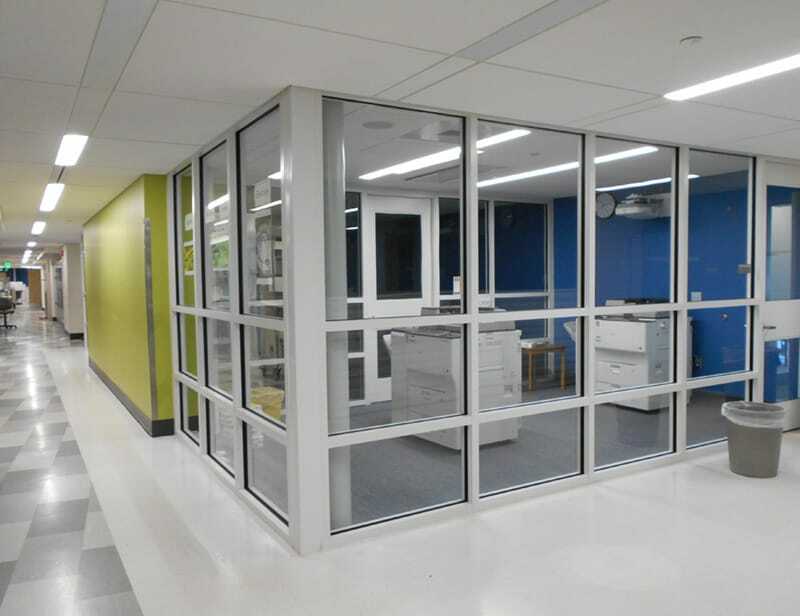 Facing an enrollment reduction, the Town chose to renovate Enfield High School to accommodate the combined student body and close Enrico Fermi High School. 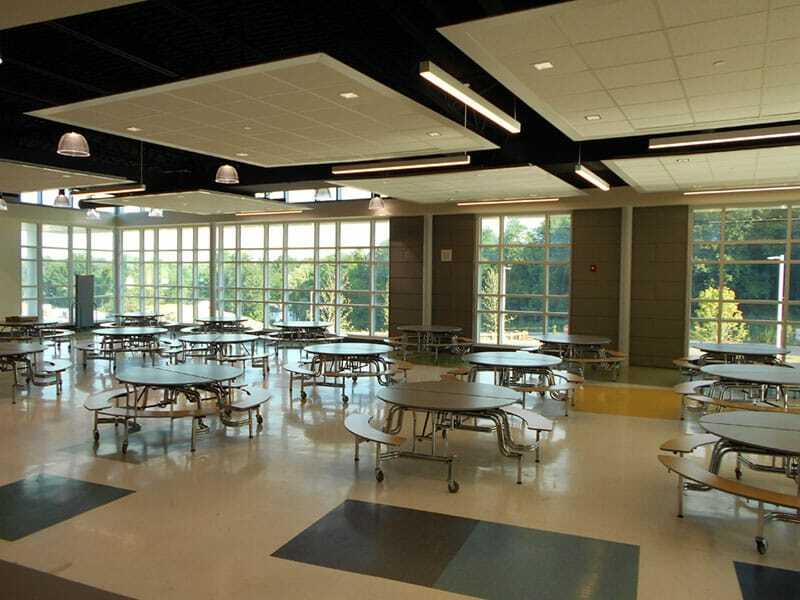 The consolidated high school includes a new 106,000 SF addition for science, technology, engineering, art, and math (STEAM), a 14,000 SF music addition, an expansion of the cafeteria, kitchen, physical education and health departments. 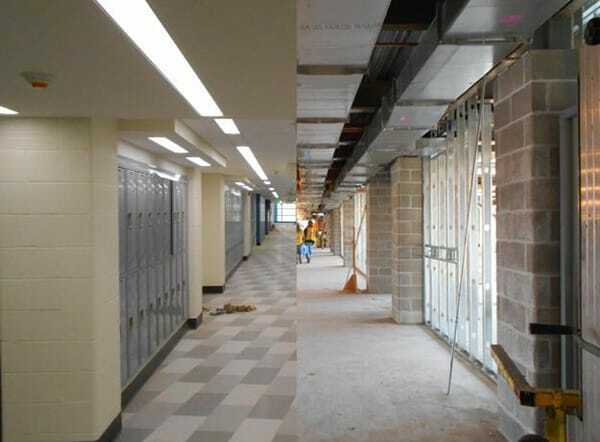 The remainder of the school will be fully renovated under the State’s renovate-like-new requirements which requires all aspects of the building and site to be brought up to meet current codes, including the State’s high performance standards for energy. The “like new” statute mandates a minimum life expectancy of 20 years for the entire building. 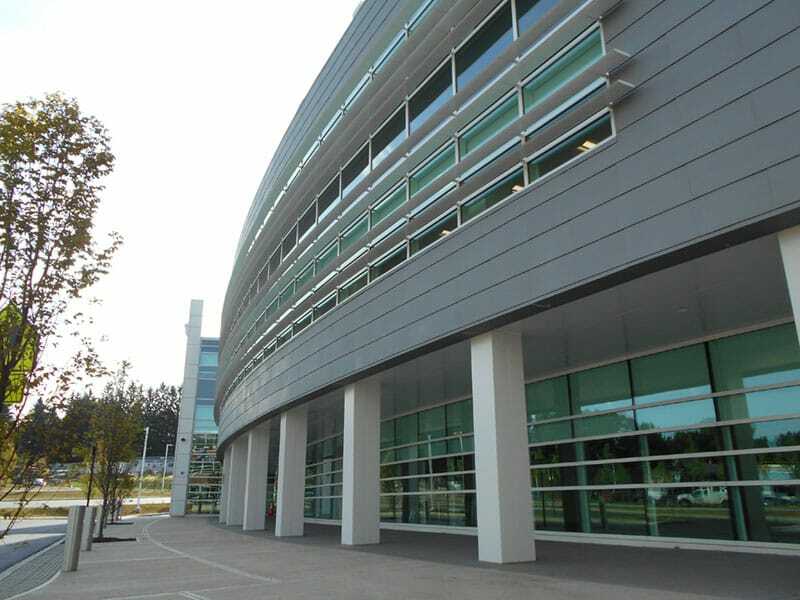 The project was executed while the school was occupied and operational. Our first priority was the safety of the community in and around the construction site, while ensuring uninterrupted education and activities at the facility. During construction of the new science wing, the Gilbane team noted that the new chemical storage cabinets were not vented. An RFI was sent to the engineer with a response indicating 2” stainless steel vents to be provided. Gilbane asked the engineer to utilize CPVC materials already being utilized for plumbing in the laboratories with the same chemicals. Gilbane’s proactive approach resulted in cost savings and reduced the impact to the schedule.